Wedding Venue of the Week: Restaurants | Rosette Designs & Co.
Let’s take a break from those hotel weddings and look at something that will give you more creative control. Weddings in cafes and restaurants are now super popular, and not to mention super gorgeous?! 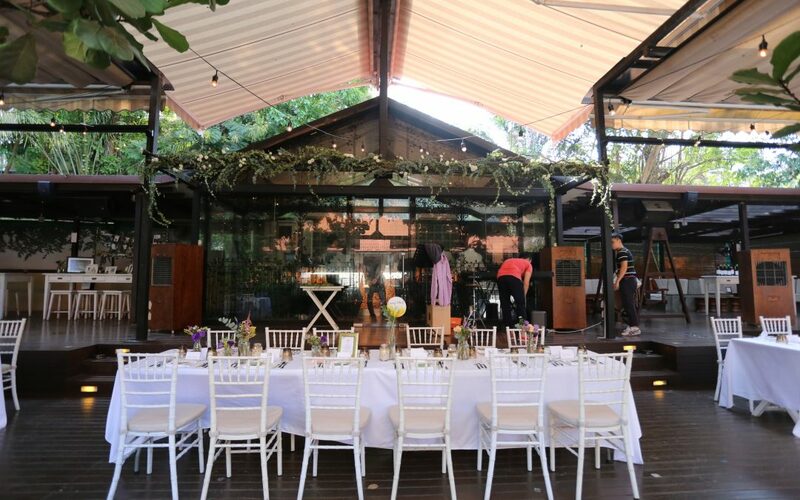 So our next wedding venue of the week is not just one location, it’s those pretty restaurants popping up in the wedding industry complete with the perfect wedding decor. Many restaurants already look the part; like Villa Halia, The White Rabbit and Museo already look beautiful as it is. Of course, everything can be improved upon and the perfect wedding decor befitting the location would help take your wedding to the next level. 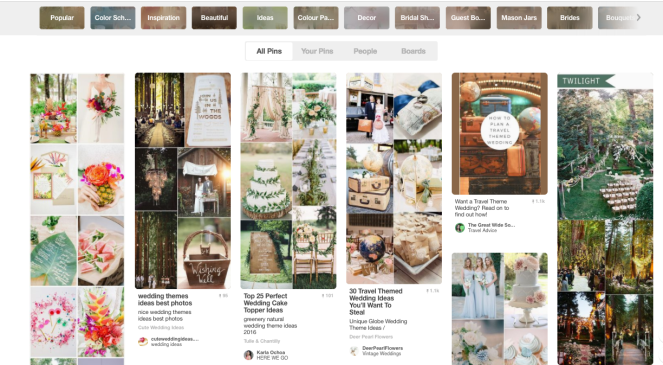 Here are some unique touches to your wedding that would look out of place in a standard ballroom! 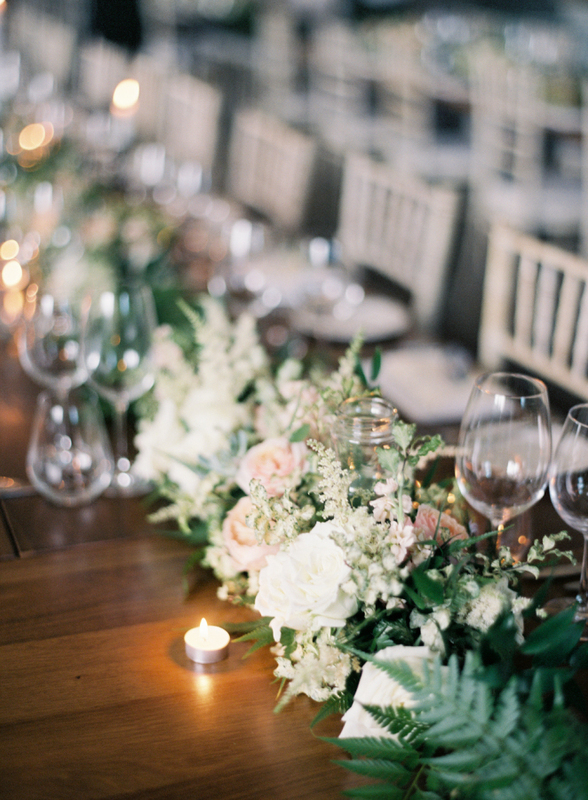 Vases are elegant but, in a restaurant, where everyone is sitting on one long table, a row of flowers running down the table is the perfect wedding decor. Flowers strewn on a round ballroom table does not have the same charm. Tired of the usual (and a little useless) heavy reception book? 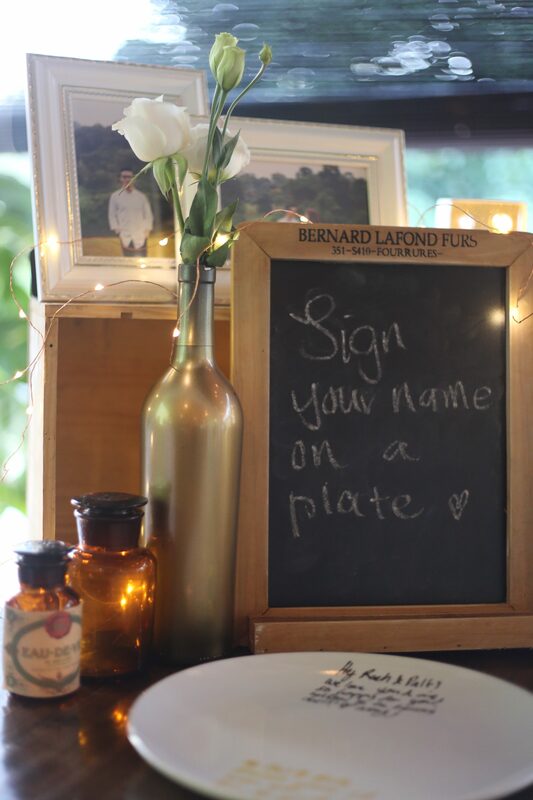 Get your guests to sign on white plates! They will be the perfect memento after the wedding and can serve various purposes around the house. Are flowers overrated? 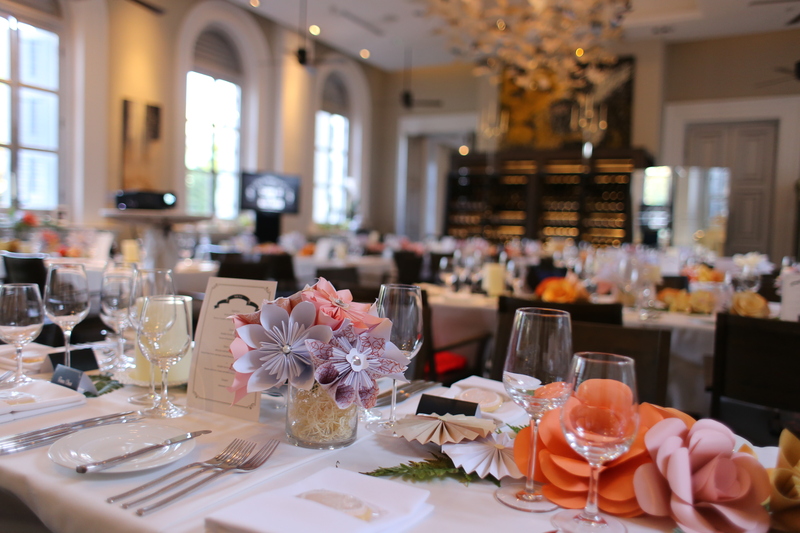 Change up your wedding decor and add some origami flowers instead! You don’t always have to splurge on fresh flowers to decorate your wedding venue. These warm toned origami pieces are such a unique and pretty addition to the modern interior of Flutes. Some restaurants have an alfresco area perfect for an outdoor wedding, be it the solemnisation or a dinner. 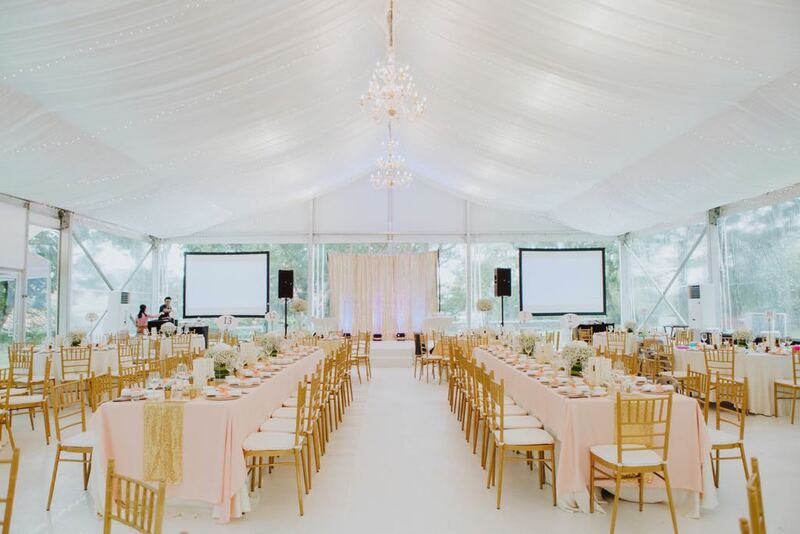 The white tiffany chairs right outside the façade of Nosh makes the entire area unmistakably bridal. 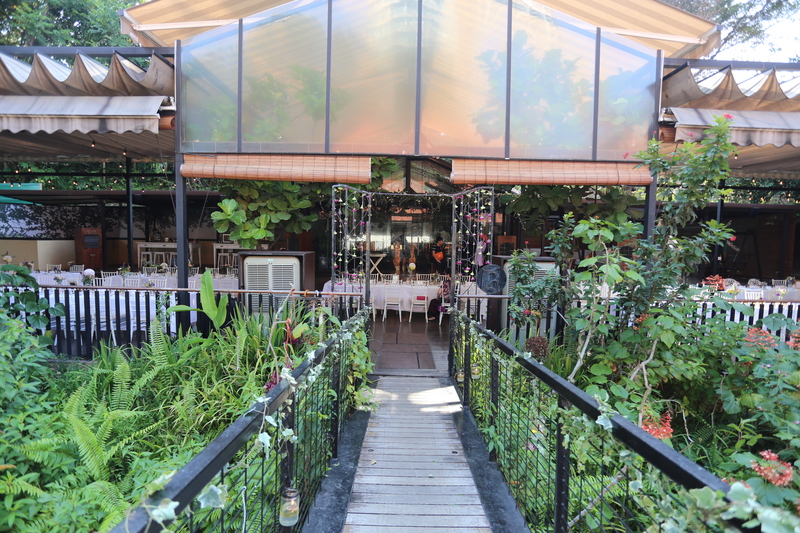 Just a few touches from the wedding planners and the commercial restaurant turns into a whimsical wedding venue. Just because the flowers on the arch doesn’t match the ones on the tables doesn’t mean the entire look isn’t cohesive. Wedding decor doesn’t have to be restrictive and in a restaurant feel free to take such risks. You can’t string flowers against gates in hotels. This pretty look is reserved for the outdoors and makes an insta-worthy nook for your guests to pose and post. Unleash your creative side with these unique wedding venues and let your imagination run wild with what you can do to decorate the space. This makes restaurants our next wedding venue of the week!